Many Yamaha keyboards feature sampled drum sounds that can be controlled via the keys and used to create your own custom drum beats. 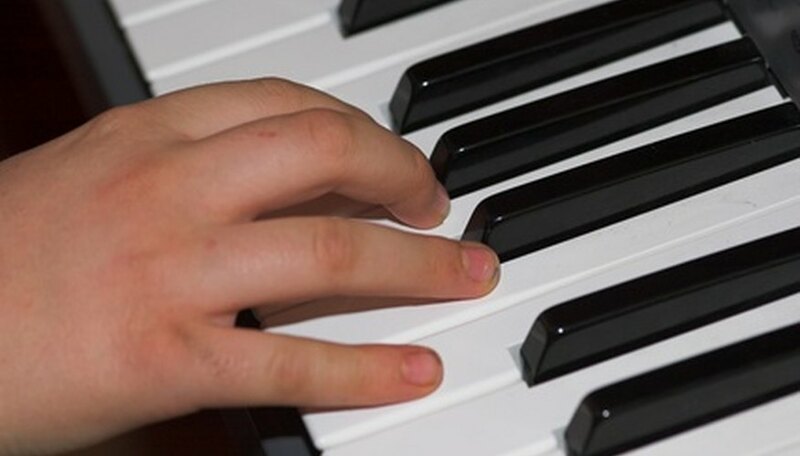 This is possible on many different models of Yamaha keyboards, and learning how the function is operated on an arranger-style keyboard such as the Pro 9000 and a portable PSR-E423 can give you a good idea of how to operate the function on other keyboard models. Switch the unit on by pressing the “Power” switch. This is located on the top edge of the unit, on the right-hand side. Press the “R1” part, or the button corresponding to your desired section of the keyboard. These buttons are located on the right-hand side of the Pro 9000, between the “Preset Voice” buttons and the row of buttons numbered 1 to 8. Press the upper “R1” button to select the part and the lower one to switch it on. Press the “Percussion” button from the “Preset Voice” section. This is located directly above the black-labeled “XG” button. If you want to add any other instruments to the beat, select a different section of the keyboard and then select the relevant “Preset Voice” from these buttons. Select the button corresponding to your desired drum kit. The available kits are displayed on the display screen in the center of the control panel. Press the button from “A” to “J” that is next to the drum sound you want. Play the keyboard to test out the kit. Create your beat using the available sounds. The full list of the locations for the buttons on the available drum kits is available in the manual. Switch the unit on by pressing the “Power” button. This is located on the far left-hand side of the control panel above the PSR-E423 keyboard. Press the “Voice” button to bring up the currently active voice. This button is located beside the dial to the right of the display screen. It is a thin, horizontal rectangle; the lowest of the block of four. Turn the dial to the right of the display screen clockwise to scroll forward. Select a number between 184 and 198 to bring up a drum kit. Refer to the “Data Sheet” for specific information regarding the drums assigned to the keys when each drum kit is selected. Play the high-hat every half-beat, the kick drum on every whole beat and the snare on ever second beat to create a basic 4/4 drum beat. Experiment with other sounds and patterns to create your custom drum beat.